I bring it up with this sketch because have been asked by a number of people about the kind of girls I like to draw; ... never really thought about it. 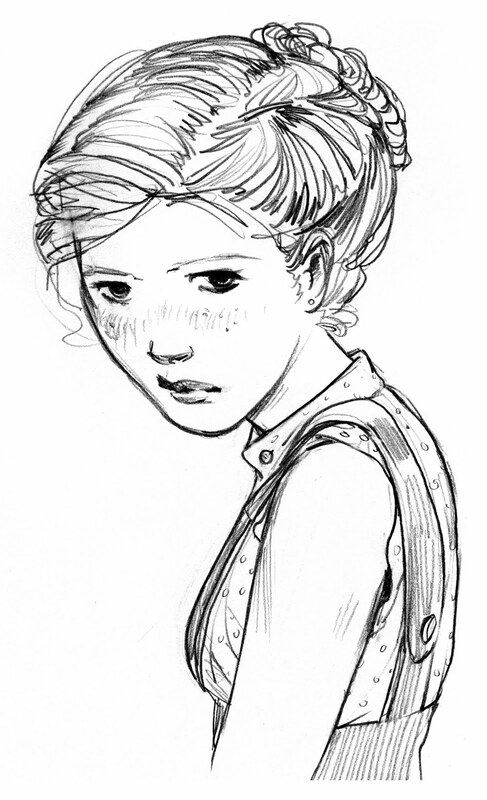 But looking at this sketch and some of my previous work, apparently I'm really drawn to sun-kissed farm girls with easy braids, sometimes sprinkling of freckles, and large, light eyes. My family's old farmhouse has a quiet, majestic Americana quality to it, so it's romanticized for me. If you are in Boston, please check out GET YOUR FREAK ON! at Space 242 gallery April 30th! Lots of my super-amazing artist friends have work in, and I can't wait to see what they've created. 3000 miles of driving...that is definitely a test of relationships and you two definitely passed. 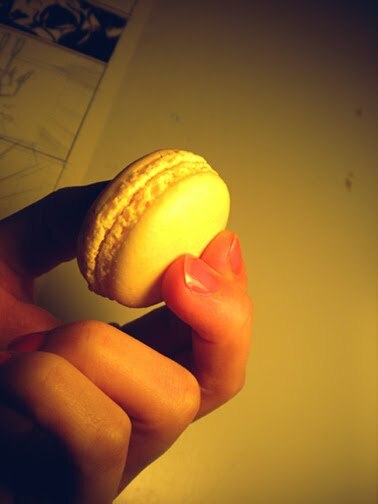 I've seen so many pictures of macarons lately and it makes me want to try them more and more..
Oh I really like the sketch. Her hair is very nice! I love freckles they are so fun, but I don't have them so I just get to like them on other people hehe. Going to check out those posts right now, I love travel posts! Oh your drawing is so lovely, I can just felt her emotion. I mean her face is very expressive. I know just what you mean about sweet foods and giving up the more nutritious foods for sugar haha. I bought some granola bars yesterday to try and ween myself off sugar haha. There's not much greater than Americana~ it's something so precious to our culture! I love her small shoulders, something about that aspect is so beautiful in your artwork!